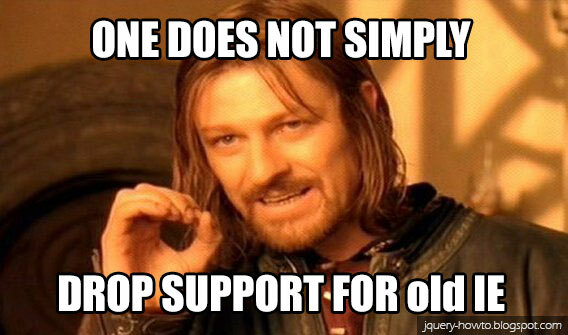 This weeks humor post is about dropping IE 6, 7 and 8 support in the next jQuery 2.0 version. One of the advantages of using jQuery is to get on with your app logic and not worry about the cross-browser scripting issues. I don't think anyone would trade their website's IE support for a digit in their jquery.js file. Would you?